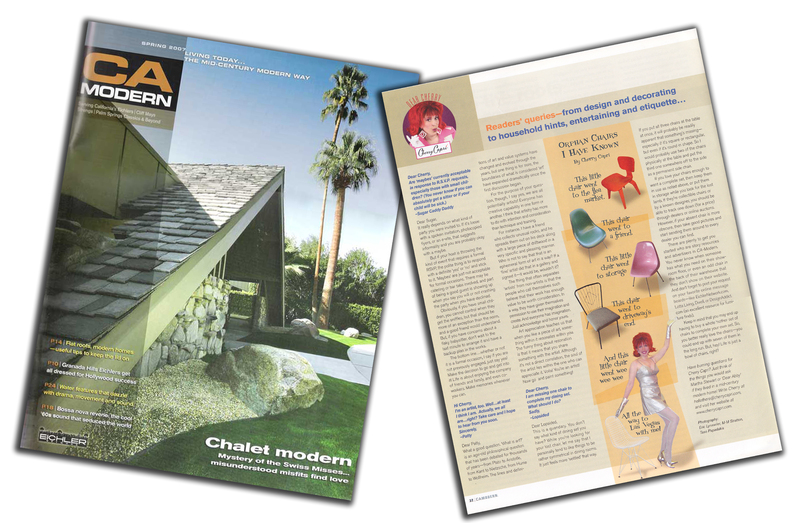 CA-Modern magazine is the new 28-page, full-color publication of the Eichler Network. Its content is aimed at mid-century modern homeowners and enthusiasts throughout California, with an emphasis on Eichler homes, Streng homes, and Palm Springs classics. Its content focuses on home maintenance features, solutions, and furnishings for modern homes; profiles on special California neighborhoods; breaking news; and much more. 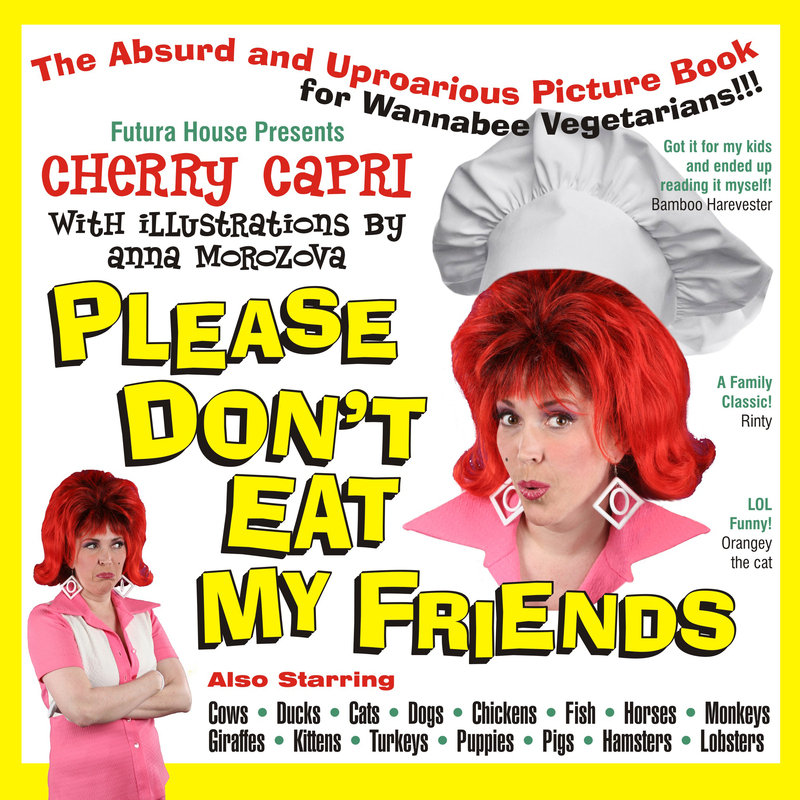 Lifestyle advice from Cherry Capri, Movie reviews from Will “The Thrill” Viharo, Entertaining tips from Penny Starr Jr., Drink recipes from mixologist Dr. Bamboo, Comics from the guys behind Untamed Highway AND of course…. Pin-ups! First published in April 2005, Tiki Magazine is a quarterly devoted to Tiki, Polynesian Pop, Hawaiiana and the Island Lifestyle. Each issue features established and upcoming artists, musicians and carvers, as well as spotlighting new Tiki bars, restaurants and merchandise. 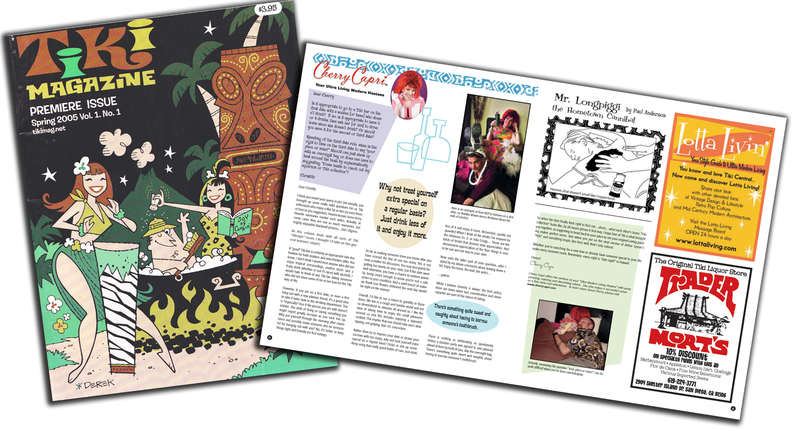 Both the premiere and summer issues are available at stores that carry Tiki and Hawaiiana art and merchandise, bars, restaurants and online at www.tikimag.net. Ask Cherry YOUR question on Facebook.